RK Venture was proud to be a sponsor for a local tennis fundraiser in support of Supportive Housing Coalition last weekend. 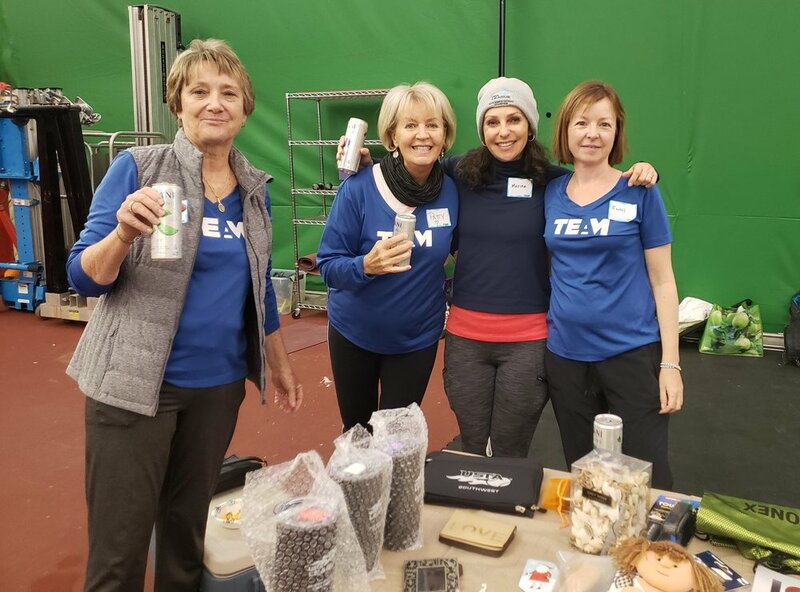 The fundraiser was organized by TEAM (Tennis Enthusiasts Action Movement), an all-inclusive local group of tennis fans that organize actions to serve the community and bring awareness to various issues through social events. This was their 3rd annual social event. All ages and levels of play were represented. Participants played in a mixer at the Lobo Tennis Club in Albuquerque that included doubles play and a court with some fun, clinic-like drills. Da Vinci’s Gourmet Pizza donated pizza. Various tchotchkes were raffled off that were donated by the community. The owners of the Zinc, Savoy, and Seasons restaurants upped the raffle by donated bottles of wine — a sought-after prize. Tennis pros donated their time either with running clinics or offering free racquet stringing. The Lobo Tennis Club very generously donated their indoor courts for the event. RK Venture provided the promotional materials: poster, flyer, and press release. The event raised $2,437 to help end homelessness. Participants and donors also brought laundry baskets full of supplies including bed linens, kitchen and bathroom items, cleaning supplies to name just a few. When people are relocated off the street are brought to their new homes, they know these items were specifically donated by the community. Most importantly, they have a stable place where they can feel safe and get back on their feet. Supportive Housing Coalition (SHC) is a non-profit organization that provides safe, affordable housing for homeless and precariously housed persons with behavioral health disorders. SHC-NM serves single adults, families with children, at risk youth aging out of juvenile justice and foster care, and off-reservation urban Native Americans, all with serious behavioral health issues who are experiencing or are at-risk for homelessness.